In trying to find pictures for Throwback Thursday, I realized I have a lot of pictures of adult beverages (that is said with pride, by the way). As such, I’ve decided that rather than share pictures of me with bad 80s hair and glasses that legitimately covered half my face, I could easily share glasses of a much tastier kind. So without further ado, I present to you Thirsty Thursday! 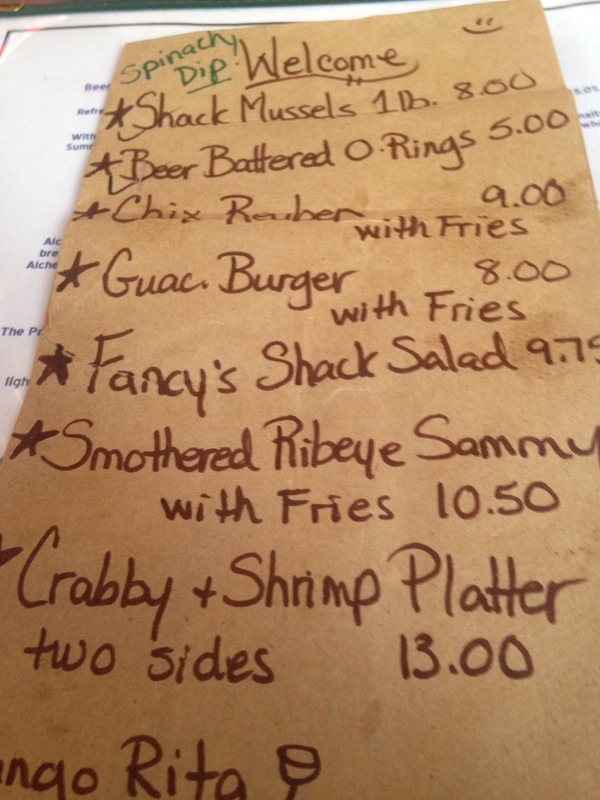 This week’s Thirsty Thursday is brought to you by BeckyJack’s Food Shack. And they’re not lying. 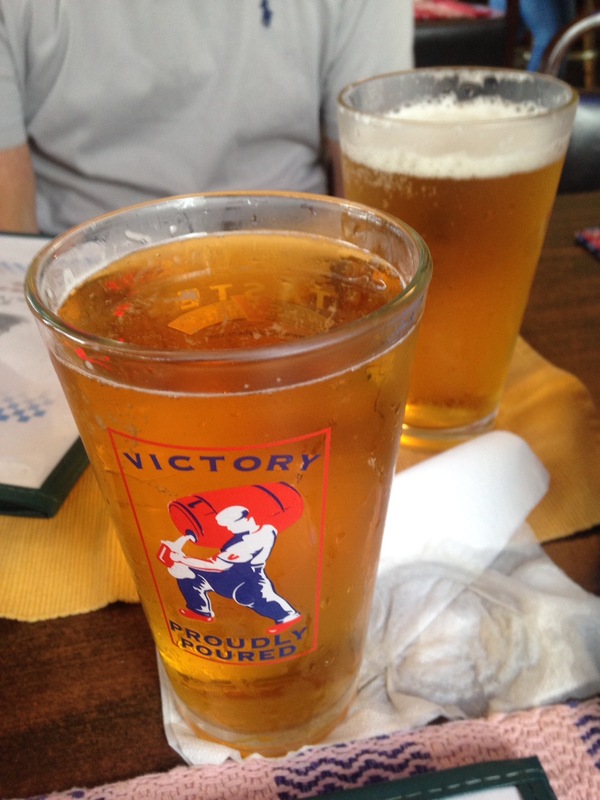 It’s a shack, but the beer is cold AND they are always changing what’s on tap–so it’s a great excuse to go back again and again and again. Oh yeah, and the food is amazing! I really wanted to take a “menu” but I think they only had a handful available! It’s definitely one place you don’t wanna miss when in the area…or the State of Florida. I’m so glad that I ended my wonderful Fabulous Not Forty Birthday Trip #1 on such a tasty note…literally. After we left Orlando, we came back to Spring Hill for a few days to lounge around and just hang-out. On my last day, we went to BeckyJack’s for an unforgettable lunch of crab cakes and fish sandwiches. We then drove back to the house, put the suitcases in the car, made one final sweep of the house to make sure I hadn’t left anything (but of course, I had…because I always do!) and off to the airport we went! Yes, that is a jalapeño floating in that there margarita. It is, in fact, a jalapeño margarita. I will confess that it wasn’t MY jalapeño margarita, rather it belonged to TK. I had, if you will remember the original Margarita Monday, the blood orange margarita. While the jalapeño margarita was definitely a novelty and very tasty, personally I preferred the blood orange. We were at Antojito’s. 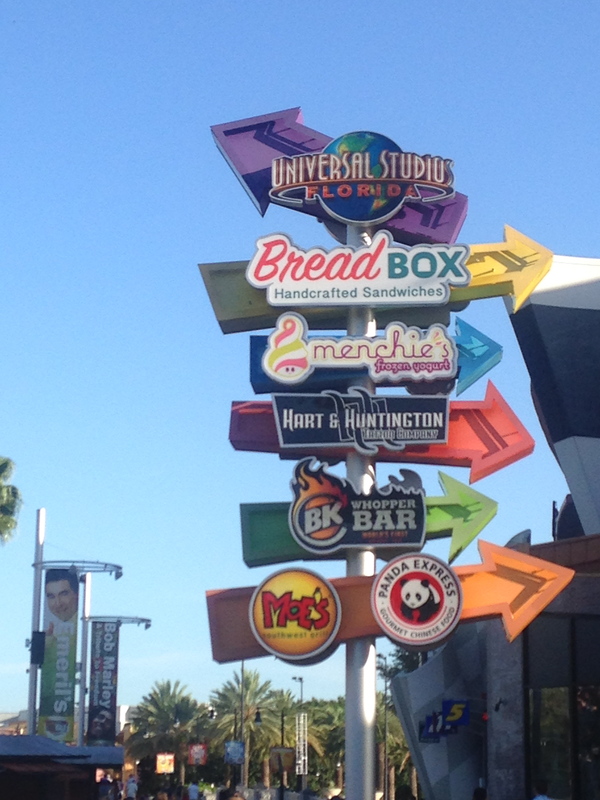 It’s the restaurant where we decided to eat after departing Universal Studios. 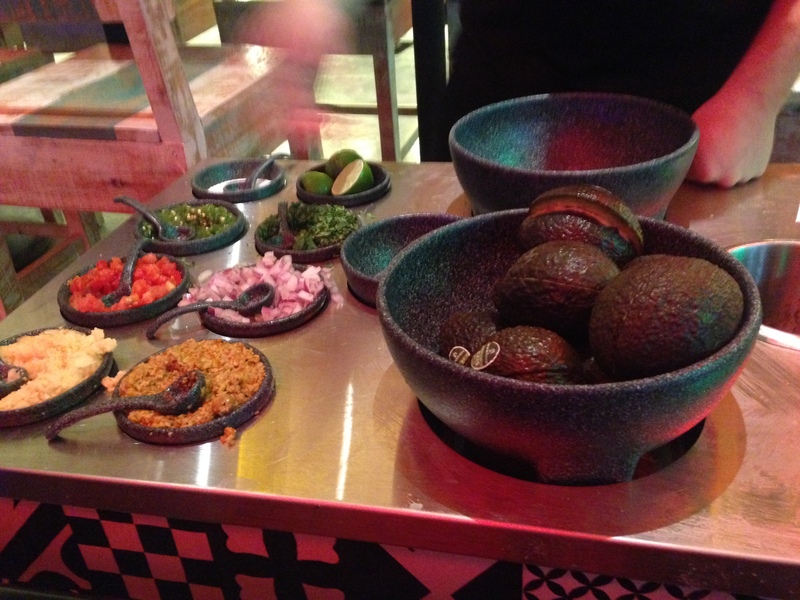 Naturally, we had the table side guacamole because why wouldn’t you? It’s amazing and goes well with margaritas. The best part of getting table side guacamole with friends from home is that we can order it spicy, unlike here where I have to settle for medium and watch my NYC friends whimpily whine about how “hot” it is. My reply to them is always: oh shush & have another margarita! 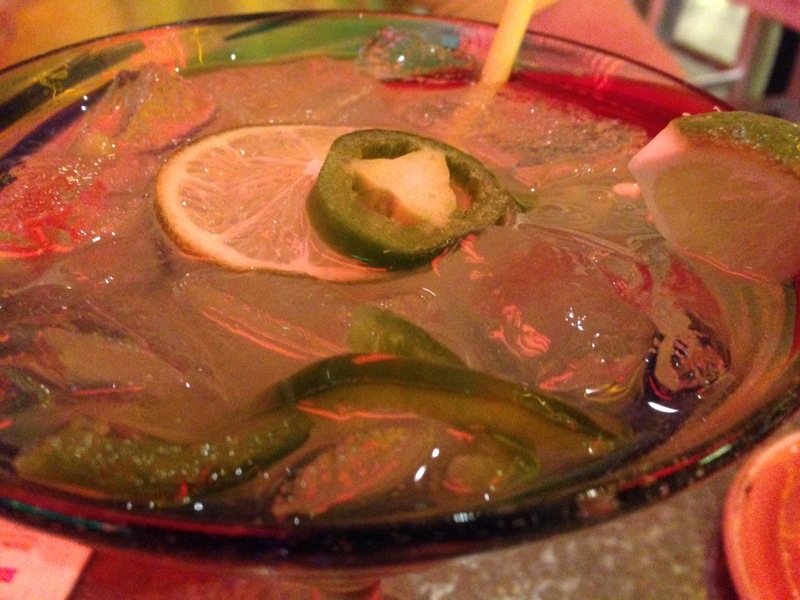 mmmmm….a another margarita sounds like a great plan! Salud! Success is a drinkable bottle of wine. I am a wine drinker. 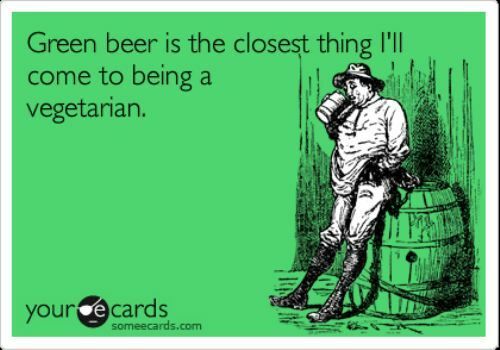 And by that, I mean, I am not a wine collector. 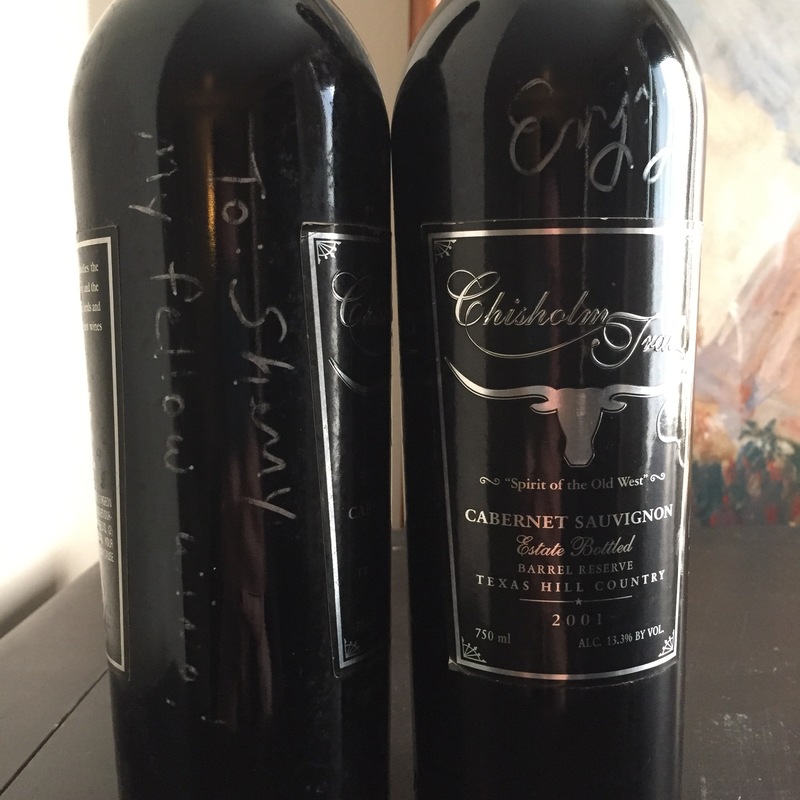 Sure, I have a few very special bottles that I have saved over the years–but most of them are deemed special because the winemaker has signed the bottle for me. But I do not buy wine to lay it down for years and years, delicately babying it until the moment it is perfect to open and decant and blah, blah, blah. Not that I think collecting wine is a bad thing, I just have no self control. It’s like an open bag of M&Ms: it’s just not going to last, despite my best efforts. Lack of self-control aside, the other reason I don’t save wine is because I don’t have a great place to store it. I currently live in an old drafty house that’s a bit too chilly in the winter and way too warm in the summer. I don’t mind, but it certainly isn’t conducive to keeping bottles for years. And I think we can all agree there’s nothing more tragic than pouring a bottle of wine down the drain because it was bad. When I choose to open the aforementioned bottles, I mentally prepare myself that it will probably be bad–that way IF it is, I’m not too devastated. Don’t get me wrong, I am still very sad but I’m not openly sobbing and throwing myself to the floor bemoaning my tragic loss. If it’s still good, it’s like a celebration and I feel like I should open another bottle! There are three notable exceptions. Granted, I did not buy any of these wines with the intentions of holding them for so long, rather I just knew I wanted to save them for a fabulous occasion. 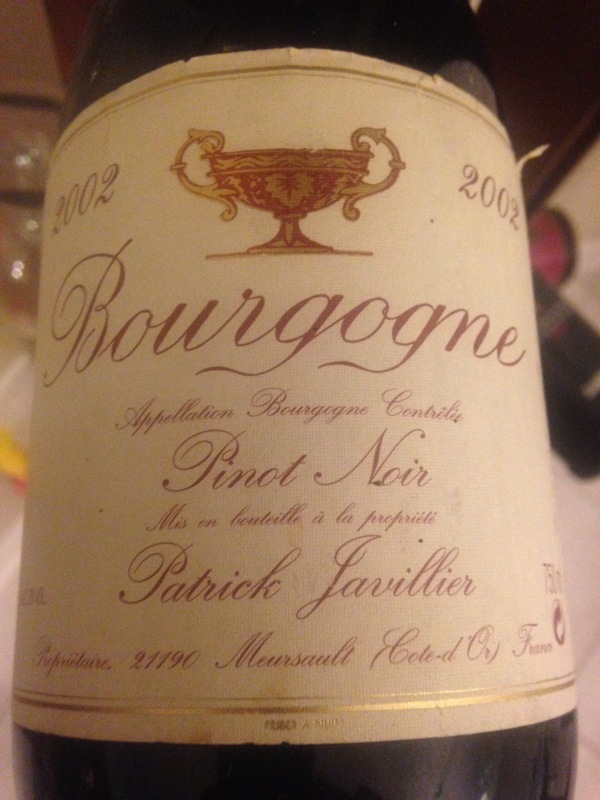 Remember these posts about my very special Burgundy that I have been holding on to for years? What better occasion than drinking it with the one person on the planet would I knew would enjoy it as much as I would and in honor of a BIG birthday ( I hope you appreciate how I tied in this month’s writing challenge with my current topic of my Fabulous Not Forty birthday trips!). I’m not going to lie, I was very nervous–first in getting the bottle safely to Florida and then in hoping that it would not be corked. I couldn’t even bring myself to try the whole “think of it being bad, so I wouldn’t be devastated” ploy. In fact, I was in full panic mode while opening it. I knew that if it was corked Christi & TK were going to have to pick up a blubbering idiot off the kitchen floor. Actually, they’d probably just leave me there for the night (hopefully throwing a blanket over me before they went to bed). I nearly cried tears of joy when I realized the bottle was in fact, not corked. SUCCESS! I may have teared up a little bit. I certainly needed a moment while drinking it. The other two were both wines I loved drinking but as the vintage came to an end, I became a bit of a hoarder. I moved up to New York with three bottles of each left. Happily, I am 2 for 2 on the Chisholm Train Winery 2001 Barrel Reserve Cabernet Sauvignon. 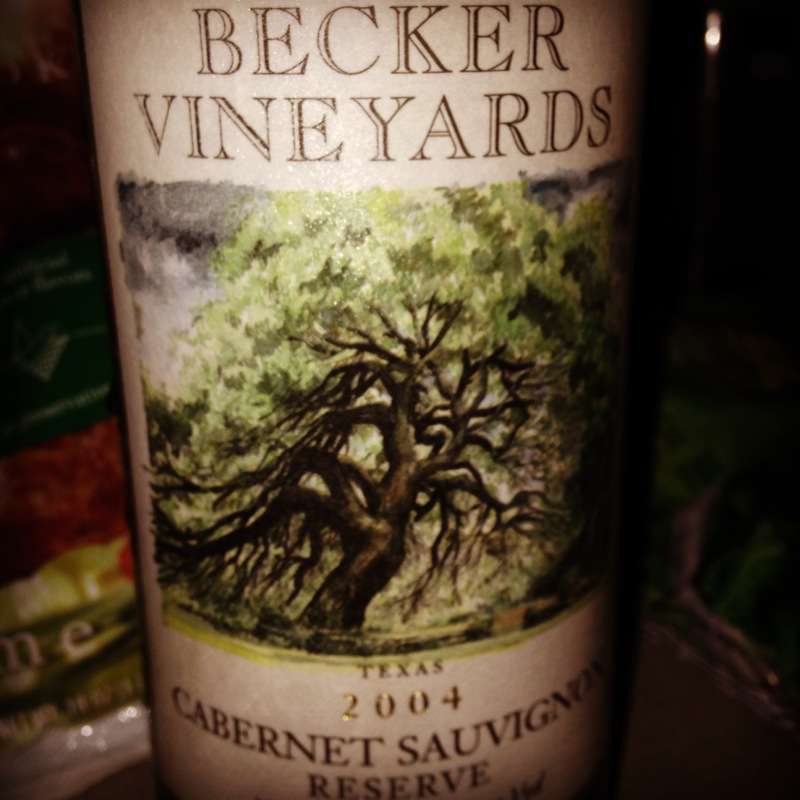 Also a big and bold cabernet sauvignon, however, with a lot less spice and much drier than the Becker. Both bottles were really smooth and opened up very nicely (thanks Paula!). I will say that this wine has mellowed considerably. Rather than being biiiiig with a very dry, clean finish, it is big and dry, but now with a lingering currant and blackberry finish. I’m probably jinxing myself, but I’m actually excited about my last bottle. 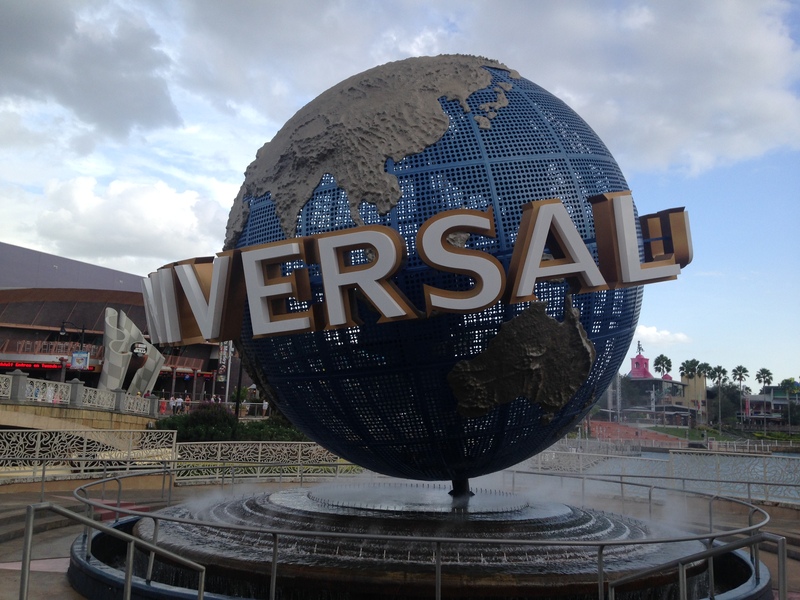 Believe or not, there are other things to do in Universal Studios other than Diagon Alley and Hogsmeade/Hogwarts. So after taking the Hogwarts Express back to London, we wandered around other parts of the park. As timing would have it, we found ourselves a spot on the curb just in time for the afternoon parade. After the parade, we realized how famished we were from all the walking around and decided (since we’d made the full loop) to head out of the park to the row of restaurants on the outskirts of the park. And so ended our magical day at Universal, proving that Disney doesn’t have a monopoly on magic in Orlando.